We believe that our patients are the best judges of the quality and service of our dentistry in Springfield, Illinois. Read what our patients are saying about us below. "Dr Jacobs is awesome. She is very personable, patient, and willing to educate her patients. All with a gentle, caring touch. Her staff is friendly and professional. If I have any issues, she is able to get me in quickly. 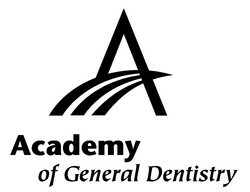 I'm so glad I found an excellent dentist and an overall great practice." "I specifically chose Dr. Jacobs because of her education from Marquette School of Dentistry. When we moved here, my husband picked out a well advertised dental chain by Culver's where each time I've taken my kids there I've felt like a number, and you're treated as such. Being from Wisconsin, I've always had great dentists with attention to detail who went to Marquette. Dr. Jacobs has a great chair side manner and did a great job explaining to me what my options were. She gave her objective opinion and actually saved me a lot of money not replacing things that didn't need to be replaced, yet, fairly educated me about the possible scenarios that could occur down the road without over exaggerating the situation. She explained everything clearly and in a manner that anyone could understand. There was no pressure to do commit to expensive procedures. Very professional. Easy to book with. Would highly recommend her and her staff!" "I have been seeing Dr. Jacobs for a year now and have nothing but praise for Dr Jacobs and her staff. Everyone is very professional and friendly. Dr. Jacobs is very personable and makes you feel comfortable and welcome. I had an issue that needed to have attention and I needed to see an oral surgeon. At the time I had recently relocated to the Springfield area and the insurance I had previously did not cover me here. Dr. Jacobs was concerned for my health and felt that I should not wait a long time to see an oral surgeon. She took it upon herself to call a local oral surgeon that she knew and spoke to him on my behalf. As a result of that, the oral surgeon agreed to see me for an evaluation at no charge. Very few doctors in any field would take it upon themselves and invest their personal time out of concern for a patients health. Dr. Jacobs did just that. I can not say enough good things about Dr Jacobs and her staff. I would highly recommend her to anyone looking to find a dentist initially or who is looking for a new dentist. Call her, you will not be disappointed!!" "Absolutely best dentist I've ever had and I have had five total in my life. Absolutely amazing service from receptionist, dental hygienist, Sarah of course, and appointment reminders." "Amazing dentist! Amazing staff! So happy to have finally found a great dentist office! Highly recommend them!" "Amazing dentist!! We love her. She was beyond wonderful with our two year old."